It's a new Stretch Armstrong for a new age! Charter City was run down and crime ridden, until the arrival of Rook Unlimited, the leading technology company in the world. The company's biggest achievement is the development of Flexarium, a compound that can stretch to incredible lengths and become lighter than air or dense as lead. 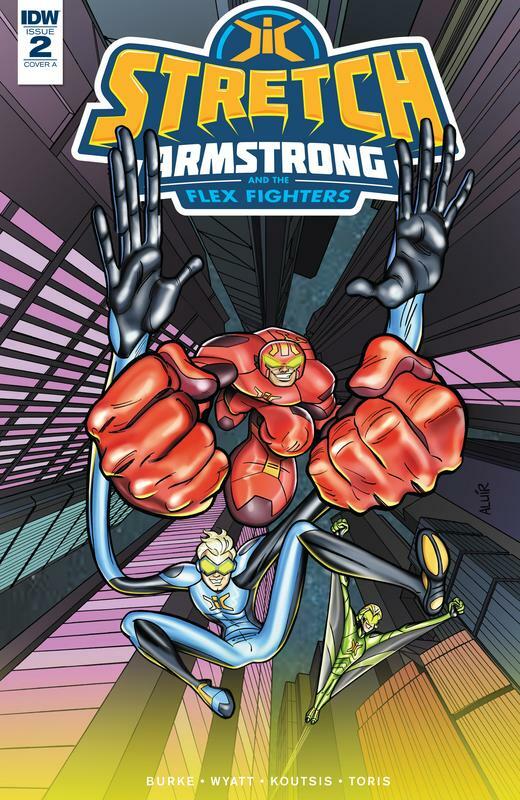 One night, high-school friends Jake Armstrong, Ricardo Perez, and Nathan Park go to hang out at the warehouse where Flexarium is stored, causing an accident that leads to the chemical compound bonding with their bodies, giving them superpowers. 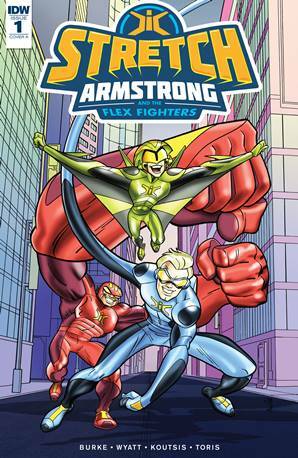 The trio is enlisted by Rook Unlimited to ght crime in Charter City as Stretch Armstrong and the Flex Fighters!